Author: Doyle, Brian Set In . . .
Old Mickey is one hundred and twelve years old. He can't remember what he ate for lunch today, but he can remember every detail of what happened one hundred years ago, when he and his mother ran away from his violent father to take refuge in the hills north of Ottawa. 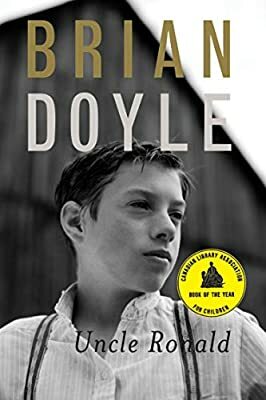 Brilliantly combining humor and tragedy, Uncle Ronald is one of Brian Doyle's most emotionally powerful novels.